Amir Lehavot may not be a very famous name among all but is a familiar name for those who are passionately involved in poker. The “dual citizenship holder” was born near Tel Aviv, Israel. Later, his family decided to move to Weston, Florida; when he was just sixteen years old. So, the Florida-based poker pro officially lists Israel as his home country. He was quite intelligent & a junior chess champion in Texas. Amir completed his high school education & later received a Bachelor’s Degree in Electrical Engineering from the University of Texas-Austin. After completing his graduation, he moved to San Francisco to join an organization where he worked as an engineer until he began playing poker in 2004. Initially he used to play for fun but soon he realized his natural ability to successfully play the game. Realizing his craze for poker, he decided to run an online poker training site, PokerWit.com & became its manager. This came as a turning point in his life & he started playing live games rather than online. He started his poker tournament career with the WSOP in 2007. 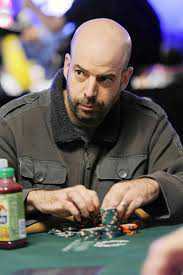 In 2009, at WSOP Main Event , he finished at 226th place & earned his first WSOP cash prize of $32,226. With over $1.5 million of live earnings including a bracelet at the 2011 WSOP $10,000 Pot Limit Hold’em World Championship Event, Lehavot’s achievements have always been a “true inspiration” for all poker enthusiasts. Apart from being a poker pro, Lehavot is also a dedicated husband & a caring father who successfully manages his time between the tables and family. The poker pro has earned many cash prizes & titles in his poker career but the best title for him is to have the title of being the first Israeli poker player to made it to the WSOP Main Event final table. “The oldest poker pro” at the final table of the 2013 WSOP Main Event is presently honing his poker skills to win the “November Nine” event. Lehavot, who is the second chip leader at the event, has also announced the sale of shares for his final table action, via his Twitter account.